It's time again for another giveaway! 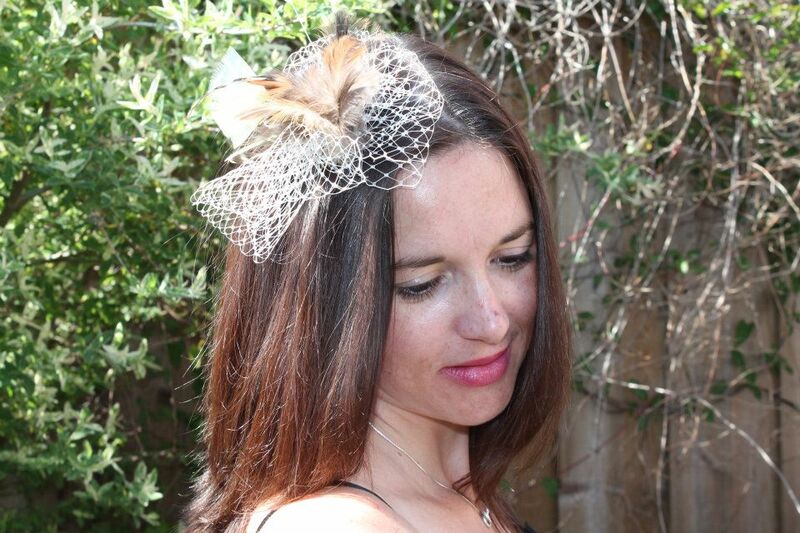 On Tuesday I showed you guys a beautiful fascinator that my friend Tara, of Olive Designs, created for me. Many of you responded and commented saying how much you liked her creations. Well, Tara is generously offering to give away one of these two beautiful pieces away to one lucky person! If you win, you get to pick the piece you like best. So which one do you prefer? 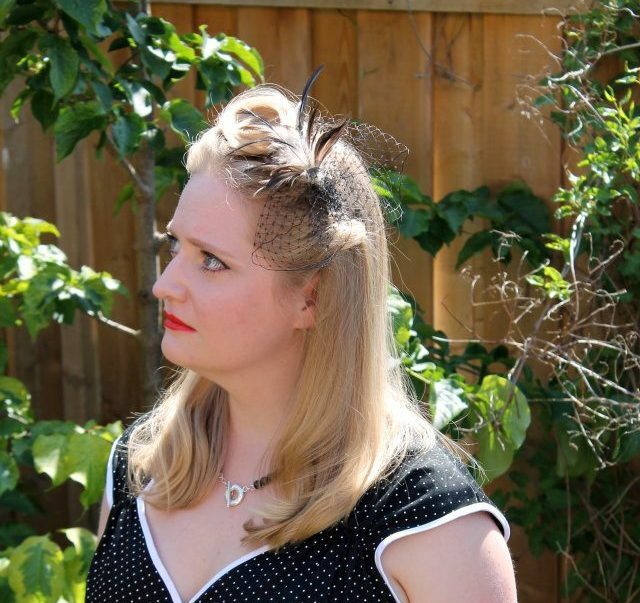 Here are the two beautiful fascinators in action! Ok, ok, so how can you get your hands on one of these beauties? 2. "Like" Olive Designs on Facebook here. Then leave a comment below letting us know that you've done so. Just to be sure, leave your name that following the blog under, your Facebook name (if it's different), and your email address so that we can contact you if you win! So in total you have four chances to win - and please do leave a seperate comment for each entry. 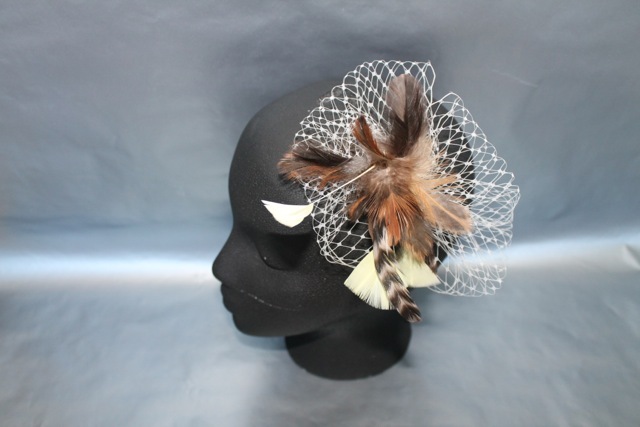 Either of these fascinators would be the perfect piece for all those upcoming summer weddings, bridal showers, baby showers, or just when you want to feel fabulous! We will announce the winner on the blog on Sunday, June 3rd. Good luck guys! Thanks for participating and please share this giveaway with your friends! wonderful things that you have! very glamorous! you're a girl with style, congratulations. I love your blog, I follow you now, check it now! I invite you on my own, so if you like my blog you may return so we keep in touch. What do you think? 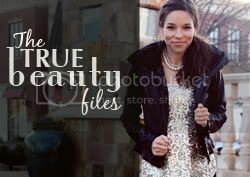 i just wanted to say that I just visited your blog for the first time and i really like it! Her creations are lovely. I don't do Facebook or Twitter, and I'm a follower on Google Friend Connect anyway, but I wouldn't mind having one of these lovely pieces! I especially like the "Rocky"! The fascinators are beautiful! The "Rocky" is adorable! OMG such a fabulous giveaway! :) Already following you and liked them on facebook! Yay!! 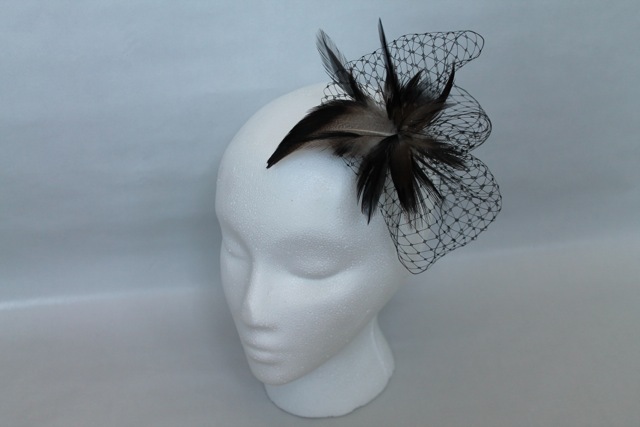 I haven't figured out GFC yet, but I wanted to stop by and say these are lovely hats! Add to favs on Etsy! wow, these are beautiful, i love'm! Fabulous! Wish I had more occasions to wear one. I totally dig The Rocky design! Following on GFC as Ally B. Liked Olive Designs on FB as Ally Barton. My email is aestheticla @ gmail . com. THanks! Thanks for hosting! Liked on FB and GFC. I liked you on facebook and am following you on here. I followed you on Twitter, TinaScully. I also added you as a favorite on Etsy, Tina Parks Scully.